SO… I was plowing through the e-mails I’ve sent in the past year and half to various subscriber lists… and I just could NOT believe how many e-mails I’ve written. Let alone the subject lines! In email marketing the subject line IS the ad. Fantastic e-mails continue to get buried under a horrible subject line, and then no one open them up to read them! 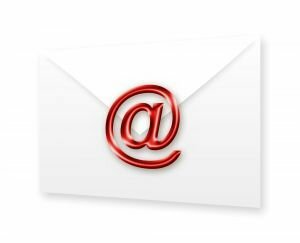 Anyhow, I thought it might be of your interest to check out a few examples of e-mail subject lines that were very successful for me personally (with stats). If you study this list you’ll probably find something interesting. Most traditional copywriting wisdom says that headlines/subject lines need to almost always be benefit driven… and that “curiosity” based headlines don’t get a lot of attention. Examine this list, and you’ll see that the curiosity approach works as well as the benefit driven style. Can you guess which one of these emails got me a nice $2199.89 in affiliate commissions by itself (hint: it’s not the one that got the most opens!) from a small list, and placed me #39 among 20,000+ affiliates of a big-time guru’s product launch? You see, these subject lines have excellent open rates when they were all used on the busiest days (Tuesdays and Wednesdays) when inboxes were slammed with uh… a ginormous amount of other emails, I actually have a simple process I go through to make this happen. 1. Make sure your subject line stands out from junk/spam and boring headlines. Regardless the size of your lists, always take the time and care to communicate with them. Build the relationship with them because remember, your “lists” consist of REAL PEOPLE… and we are social animals. The better your written communication skills become, the better relationships and trust you’ll build with your audience and, in turn, your business and income. P.S. Writing effective, profitable email subject lines is one of many benefits you can look forward to when you are accepted to work with me personally in the “10x Profits Inner Circle” for which I’m accepting applications. If you’ve been around for a while, have the determination to succeed, but haven’t desirable results yet, this might be a golden opportunity for you.